I have over 25 years experience in the family services and legal fields, including representing clients in divorce, time-sharing, child support, domestic violence and other family law cases, representing and advising clients regarding complex business, tax and real estate issues, litigating dependency (child abuse and neglect) cases, and my former work as a Licensed Marriage & Family Therapist focusing on work with children, families and couples. 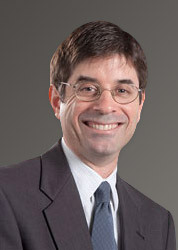 A family law case is often a complicated business law matter, involving reorganization and valuation of businesses, valuation and division of pension plans, and consideration of complicated tax law issues, and at the same time – often during the same hearing, a case involving important children’s issues, and the complex and varied ways in which these issues can arise in a family law case. I received my J.D. degree from the University of Chicago in 1985, M.Ed. and Ed.S. degrees from the University of Florida in 1991 and LL.M (Master of Laws in Taxation) from the University of Florida in 1999.